Ahh I wish I have a child so that I can buy him/her these cute shoes. I know mommies out there love to buy stuff for their kids esp. if they are cute and comfortable to wear. My sis has been buying her daughter shoes that sometimes Bianca rarely used it bec. she has too much of it.. lol. Good thing is that she send them over here via a box so that we can give it to my relatives who has still small kids. Just saw a site (pediped.com) that offers these cute shoes and with the looks of it it is also comfortable to wear bec. it is recommended by podiatrists and it is made of soft soft, flexible soles and supple, premium grade leather uppers. Hey, I’m back not feelin’ well since the Monday, the left side on my stomach area’s been hurting and I hope nothing major is wrong in me. Anyway, I have few online backlogs that I need to do and I will do my best to do it. It’s been a busy week for me and I am already looking forward for the weekend bec. I am going to treat myself at the mall. Maybe I can do a little shopping and I will have my 50mm lens fixed at the Canon Service Center in Megamall but first I need to bring it to the store where I bought it and I will ask if I have a warranty on that. I miss my nifty fifty lens so much that I need to bring it asap to have it fixed. There are many things to do more, next month we’ll going to have renew the registration of our other vehicle and part of the requirements is the insurance so I also need to find good insurance quotes online to make it fast. I also need to find a nice lamp for my bedroom so I will be scouting one this weekend. I can’t wait for tomorrow bec. it’s gonna be shopping day for me.. Yey! That's me posing at the huge and cute shopping bag standee at Robinson's Galleria movie area. I was with my niece at that time going to watch a local MFF movie that we didn't like. I wasn't shy to pose there bec. there were no people at that time yet..lol but if there is I will not dare do it ..lol. I think the movie will be shown here in Feb. 2009. Rebecca Bloomwood is a sweet and charming New York City girl who has a tiny, little problem that is rapidly turning into a big problem: she's hopelessly addicted to shopping and drowning in a sea of debt. While Rebecca has dreams of working for a top fashion magazine, she can't quite get her foot in the door -- that is, until she snags a job as an advice columnist for a new financial magazine published by the same company. Overnight, her column becomes hugely popular, turning her into an overnight celebrity, but when her compulsive shopping and growing debt issues threaten to destroy her love life and derail her career, she struggles to keep it all from spiraling out of control--and is ultimately forced to reevaluate what's really important in life. With the recession and financial crisis almost all over the globe, many shoppers are cutting off their shopping expenses.But for those where money is not tight, they are in advantage bec. there are many stores and shops offline and online that are having sales, off the rack sale, clearance sales and many others so that they can still generate income bec. they know there are not many shoppers these days. Ok, I know it's really hard to be overweight but at least you can do something about it. I guess the key is perseverance and your passion to really loose that extra pounds in you. It will not be an overnight miracle cuz that is just impossible, it will take time and your hard work is really needed. There are many options that you can choose, you can exercise, take a diet pill, watching what your eat (try eliminate the fats and sweets), don't be sedentary, think positive. If all fails then I guess you really need to see your doctor for more advice. Hey everyone, it;s the time of the month now that most of of needs to renew licenses and pay the last month's tax. I did all of them this month and just today, I finished the renewal of the my business at the municipal hall that took me long 4 hours to transact bec. it's the deadline tomorrow, I'm buzz beater lol. Anyway, my bro in the meantime took our vehicle for the renewal of it's registration and juts in case you haven't done yours, you can check out this car insurance quotes to guide and help you. Now I can put my feet up bec. I am done with all my obligations. Hope you can finish yours too. The much awaited Golden Globe has been flocked by many celebrities and fans and of course aside from seeing their fave stars, they also wanted to see what they wore for that night and who stood shining among the many stars. Many female stars shined like Eva Longoria, Kate Winslet, Anne Hataway and my fave EVA MENDEZ. I love watches and I believe that it's a piece of accessory that we all need to have. I have about 5 watches and it's always fun to mix and match them with the clothes that I am wearing. I am already planning again to buy one this year hopefully on my next birthday. Ha, they are 'timeless' for me and if given the chance I would love to own more designer or branded ones if my budget allows me. 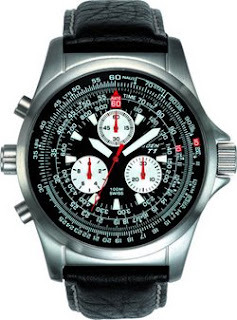 Men love watches too, and I am sure they will definitely fell in love with these Torgoen watches that I saw online. Looks durable, stylish and made from highest standards. Go check them out guys. One of the 1st things that we always notice when we meet a person aside from their eyes are their smiles and we can always give a great smile if we are confident that we have good teeth. I remember when we were kids, my mom would always tell us not to forget to brush our teeth after every meal. I am somewhat stubborn back then so I end up with a not so good one. Lessons learned. There are many ways of taking care for our teeth, like brushing, flossing, going to the dentist once in a while and these are best advice that we can give to kids now. It’s better to start young so they will have strong and beautiful teeth as they grow. For adults, sometimes we can never really avoid drinking coffee or tea but we never realize that it contributes to the staining of our teeth. If you will also notice, smokers have stained teeth due to nicotine. Having sparkling white teeth gives us confidence to give our best smiles but sometimes no matter we do we can’t achieve that by simple brushing. There are many available products these days that can help us like the tooth whitening from Rembrandt. They offer 2-hour Whitening Treatment, Whitening Mix with Flouride and the Intense Stain Toothpaste that we can avail. They were invented by cosmetic dentists and have favorable results plus it give us assurance that there’s still a solution to make our teeth whiter. Not just the tooth whitening kit can help but the Rembrandt toothpaste and the mouth rinse can assist us to have an enhanced oral hygiene that every one of us needs.